SANTA MONICA, Calif. – Oct. 7, 2014 – OUYA and Bedtime Digital Games today announced that Back to Bed is now available on OUYA for $3.99. 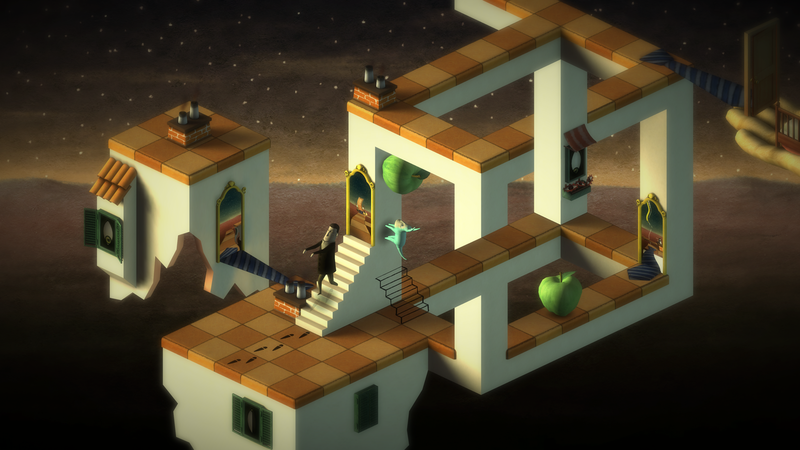 Back to Bed is a surrealist puzzle game that was honored by the IGF Student Showcase in 2013 for its innovative gameplay and strikingly unique art style. The game lets players step into the paws of a roving sleepwalker’s embodied subconscious – a green, doglike creature with the face of a man – and traverse a maddeningly misleading dreamscape in a desperate attempt to keep their physical form from stumbling into bodily harm. 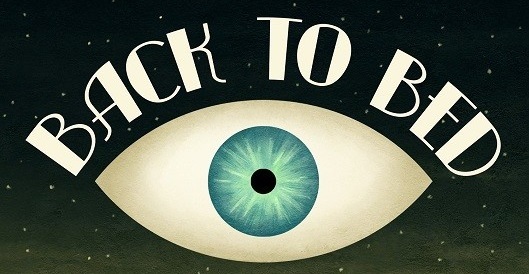 In Back to Bed, players will explore a dream world imagined into existence by Bob, a sleepwalker who frequently falls asleep at his boring office job and finds himself wandering out into the dangers of the big city. As Bob’s subconscious, players must steer him away from the perils that threaten him – for Bob, these imagined threats are subconscious manifestations of hazards that are all too real. Of course, all is filtered through Bob’s sleeping mind, so oncoming cars become menacing alarm clocks, and open manholes are seen as bottomless precipices. 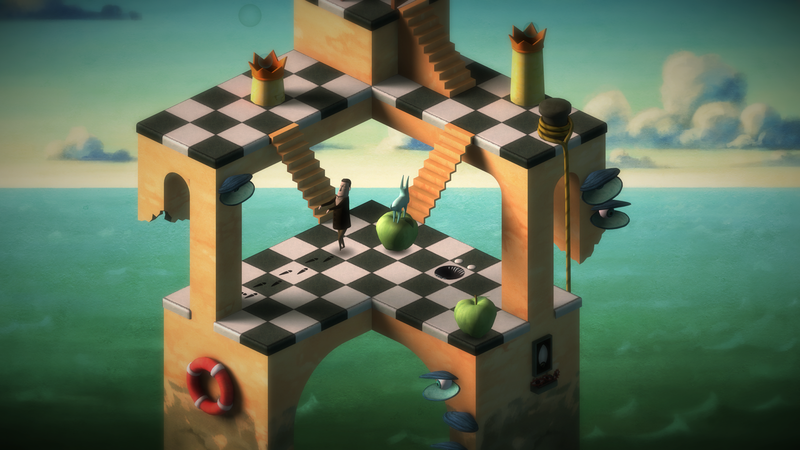 The world of Back to Bed is an amalgam of the works of every surrealist to ever draw a wavy line where they saw a straight one: it incorporates the headache-inducing, impossible physics of Escher, the swirling, hazy landscapes of Dali, and even Magritte’s iconic green apple. To take a closer look at the inside of Bob’s head, check out the trailer: https://www.youtube.com/watch?v=Y–q525nfGI&feature=youtu.be. Grab the game on OUYA here. Or download the press kit here. Back to Bed began in 2011 as a student project. After a successful Kickstarter, a number of trade shows and game conferences, and several award nominations, the game garnered enough attention and investors to merit a full professional release. 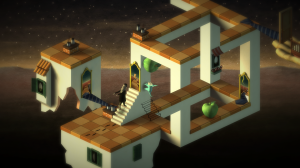 A smaller, more dedicated team rallied behind the project and formed Bedtime Digital Games: the company that would not only complete Back to Bed, but would continue to dedicate themselves to making innovative, mind-bending new games.